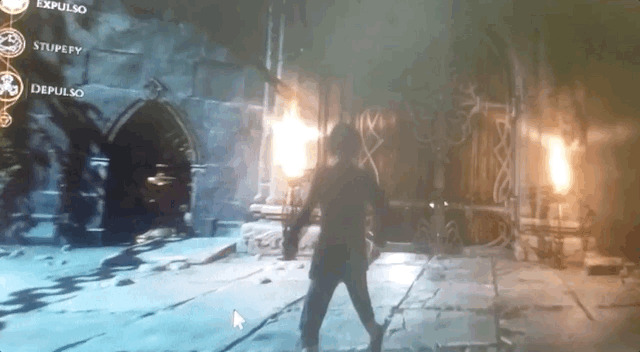 Yesterday, a short video clip leaked online that showed what could be the Harry Potter game fans have been waiting for. Warner Bos. has since removed the video, while sources confirmed to Eurogamer that a new game is in development. The original leak by VapeThisBro on Reddit showed footage of what looked like a high budget, role-playing game set in the Harry Potter universe. It certainly looked like it had the potential to be the Harry Potter game fans of the series would like to play. The bits we saw showed scenes from Hogwarts as seen in Harry Potter movies. It also showed third-person combat mechanics and a wand-wielding protagonist combating goblins. Although the clip itself was of poor quality, the scenery was unmistakably from J.K. Rowling’ Harry Potter universe. The leak also included a press release that stated the Harry Potter game is set in the 19th century, which makes it well before the saga of Harry Potter. The game focuses on the story of a fifth year Hogwarts student who arrives at the school under less than normal circumstances. It sounds like an ARPG with eight character classes and combat mechanics that include “cursing.” You can play as either a good or bad student. Hopefully Warner Bros. will make an official announcement in the next few weeks as to when the Harry Potter game ill be released.